Building and launching rockets all week! 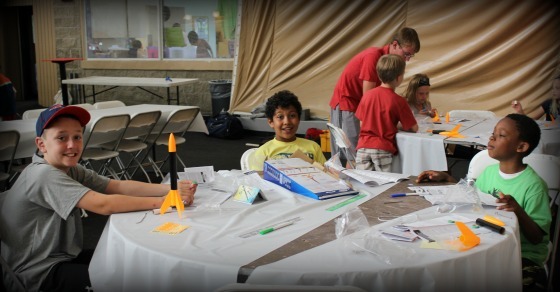 Rocket engineers will spend the week building ESTES model rockets. All rockets will be assembled by campers, with counselor assistance as needed. Campers will have to make landing estimates taking into consideration wind speed, wind direction, and engine velocity. This camp is of course for fun, but hopefully children will also learn a little about weather and how it affects the launch and landing. Campers will take home all rockets that they build and launch, including the ever-popular air-powered rocket, which shoots up to 200 feet! Note camp goes longer Wednesday, Thursday and Friday for rocket launching. Includes lunch Wednesday through Friday only.